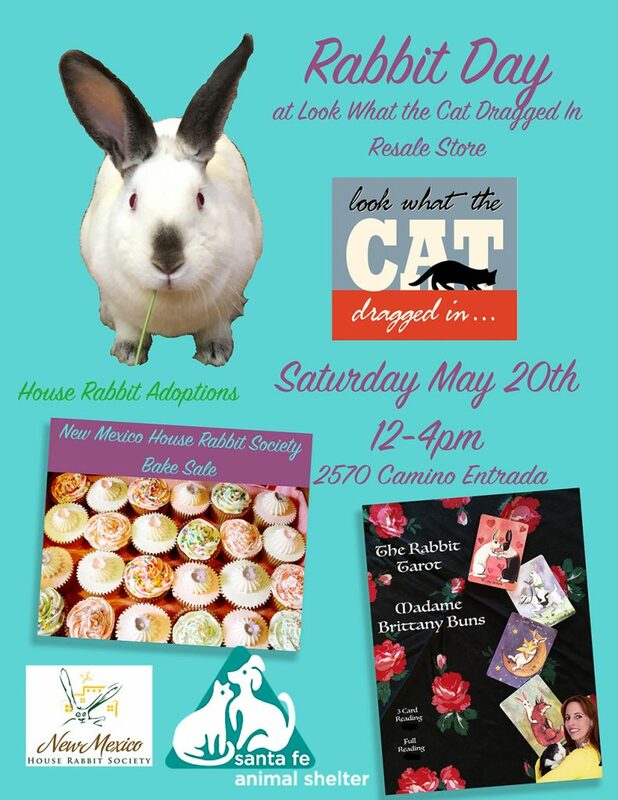 Join us at Look What the Cat Dragged In on Saturday, May 20th to celebrate “Rabbit Day”! There will be a variety of fun events celebrating the joys of getting to know house rabbits. Meet three adoptable, shelter rabbits inside ‘The Cat’. Learn more about house rabbits and their care at the New Mexico House Rabbits Society’s information table. If you already have a house bunny, bring it along for a nail trim. Buy delicious baked goods, including chocolate truffles, fudge, carrot cakes, vegan cookies and more. 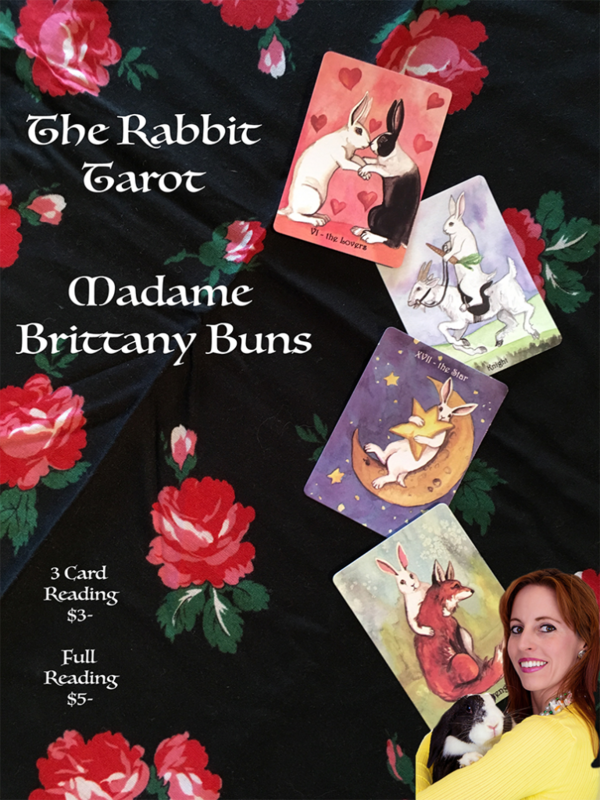 Get a special card reading by Madame Brittany Buns. Madame Buns consults the Rabbit Tarot deck. A three card reading is $4 and a full reading is $8. Look What the Cat Dragged in is one of two resale shops in Santa Fe, benefitting the Santa Fe Animal Shelter. Please plan on taking some time to shop for a speacial treasure or two during this special event. They are located at 2570 Camino Entrada across the street from Kohl’s. adoption, look what the cat dragged in, rabbit day, santa fe. Bookmark. 8th Annual Quilt Raffle is live!